20 Series 2 Hole Joining Plate w/mounting hardware, TNUTZ Part #JP-020-A. These brackets will fit in the 20 Series (20mm) extrusions. 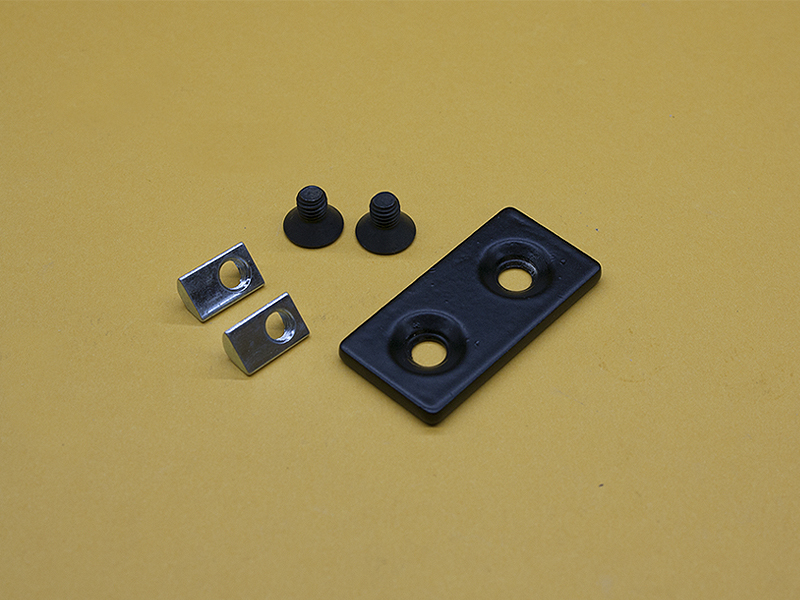 The dimensions are 20mm x 40mm x 3mm, and have 5mm Countersunk holes to properly secure the bracket to the extrusions. The extrusion is not included in the ad; it’s shown for function purposes. These plates are black powder-coated steel, and come with (2) M5 Flat Head Screws and (2) M5 Drop-In T-Nuts. They will fit 20 Series or 5mm T-Slotted Extrusions.